That afternoon took place at PT Solusi 247 Special Religion of Yogyakarta, on Friday Fifth April 2019. Mr Jumala as Headmaster of SMK Telkom Purwokerto and Mr Slamet Mangsudi as Vice Principal Public Relation to friendly visit and The visit was received a warm welcomed from Manager of Solusi 247 Mr. Ibnu Abdissalam. The topics at the meeting focused on making MOU, the discussion of the collaboration is recruitment,student internship, and Teaching Factory and also Parties to the solusi 247 are willing to attend the graduation ceremony on May 16th 2019 to sign MOU. During the visit, the delegation of SMK Telkom Purwokerto had the opportunity to see the daily activities of the employees in Solusi 247. 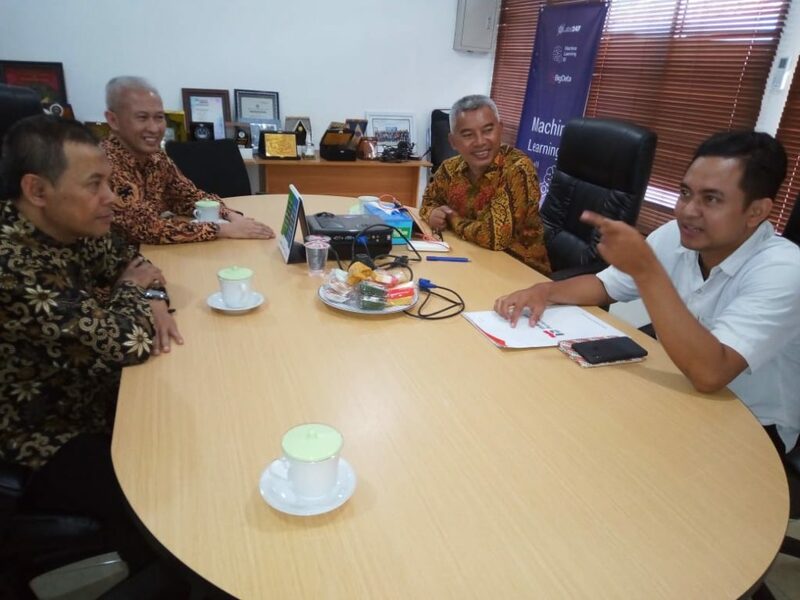 The visit is expected to establish good and harmonious relations between SMK Telkom and Solusi 247, and can plan better cooperation in the future.